A Special Thank you to Berkshire Bank Foundation for a $1,000.00 Grant issued to the St. Charles Food Pantry. 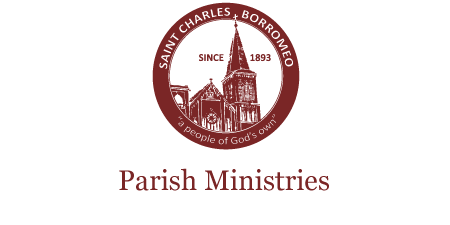 The people of Saint Charles Borromeo Parish Community manifest an extraordinary sense of community in their outreach to all. As part of this ministry a food pantry was established in the fall of 1995. Located in the north end of Pittsfield, our parish represents a wide spectrum of the central Berkshire area which includes those with financial resources and stability as well as many who live marginally or in poverty. Our parish neighborhood includes two low-income housing projects, single homes, multiple dwellings, a homeless shelter and elderly housing. Many parish volunteers sort, organize and distribute groceries to those in need. On an average four-six families receive food and other assistance from this parish ministry weekly. The major sustaining source for food items and monetary assistance is the generosity of the parishioners. There is not a week that goes by without urgent requests for food. In general, our needs include paper goods such as toilet tissue, paper towels, shampoo, shaving cream, non-perishable food items (e.g. crackers, tuna fish, beans, etc. ), as well as perishable food (e.g. potatoes, bread, etc.). Any item is always appreciated. Our parish logo incorporates the verse from Jeremiah, “a people of God’s own”. This represents the all-encompassing compassion and ministry of the people of Saint Charles Borromeo Parish Community to all those in need.